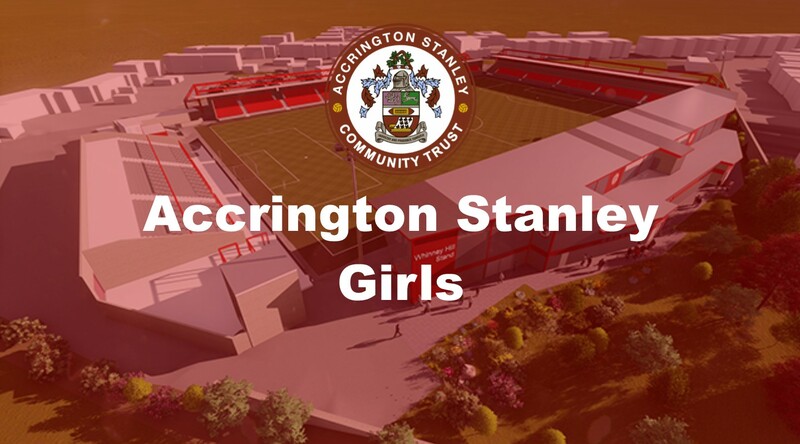 Accrington Stanley Community Trust are looking to form new girls football teams for the upcoming season. We have seen the growth of the girls game dramatic increase in recent years and we want to help be apart of it. We are holding a weekly coaching session for girls aged 5-14 who love to play football regularly. All girls will be allowed to attend whether they are a beginner or have played football regularly. Our training sessions are all ran by qualified coaches and will provide young players with the chance to participate in an environment they feel comfortable in. Each week covers a different themed technique or skill, and then allows the opportunity for practice in small-sided matches during each session. As we want the girls to get match practice, we will organise a range of friendly matches over the course of the year to give the girls the best experiences and opportunities possible to play in a competitive environment. The session takes place every Monday at Hyndburn Leisure Centre, 6pm to 7pm. For more info please call the office 01254 304071 or email info@stanleytrust.co.uk.